While all The Seven Habits of Highly Effective People listed by Stephen Covey remain relevant and timeless, the one which resonates with me most is the seventh — sharpen the saw. In the life sciences industry, Covey’s concept of continuous improvement is more than just a habit, but a way of life. This is especially true for those who work in pharma and biopharma manufacturing — striving to maintain high quality, be on time with delivery, increase productivity (often with fewer resources) and so on. If you work in manufacturing, you are probably tempted to stop reading and get back to work. Though pharma and biopharma manufacturing executives most certainly work long and hard hours, I am sure the manufacturing executives I know would rank working smarter above working harder as a best business practice. Working smarter requires making the time to sharpen your saw. As we are just seven weeks away from a very unique saw sharpening continuous improvement conference for the pharma and biopharma manufacturing executive (Outsourced Pharma West), I thought it a good time to put together a list of the seven habits of the highly effective pharma and biomanufacturing executive — so you can sharpen your saw. 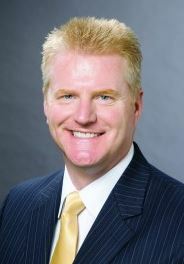 I first met Craig Kennedy, senior VP of supply chain management at Merck and the subject of an article on Merck’s continuous improvement process, at a conference where he was speaking on continuous improvement. He would tell you he lives a life of continuous improvement. According to Kennedy, “Continuous improvement doesn’t just depend upon Lean principles and/or zero-based budgeting. It depends upon people inspired by a culture that values learning, promotes problem-solving skills, and strives toward big goals by making small improvements every day.” On more than one occasion I have heard Kennedy say, “I’ve never seen a piece of equipment improve itself.” Like many of the pharma and biopharma manufacturing executives I meet, Kennedy believes continuous improvement means investing in people. To this I would add, continuous improvement requires not just a commitment or a willingness to get better, but a moral obligation for you to invest in YOU. Highly effective pharma and biopharma executives don’t just sharpen their saw because they think it is a good thing to do. They do it because they know that the people ingesting or injecting the medicines they manufacture trust it to help, not harm. This level of trust demands a commitment to continuous improvement. If you want to be a highly effective pharma and biopharma manufacturing executive, don’t just develop the habit of sharpening your saw. Instead, seek better ways in which you can continuously improve upon the saw sharpening process. Jim Robinson is a VP of vaccine product & technical expertise at Merck, and in all honesty, one of my favorite executives to have ever interviewed. After I completed my interview with Robinson, he sent me a book by John Miller, QBQ! The Question Behind The Question. If you are wondering why, the simple answer is because that’s what highly effective pharma and biopharma executives do, they pay it forward, use multiple methods of communication to facilitate understanding, and continue teaching even when class is over. When I reached out to Robinson to see if he knew anyone he thought would be good speakers for #OPW2014, he made several introductions, including Merck VP of external manufacturing, Bob Kanuga. When I asked Craig Kennedy if he could share his message of continuous improvement during Life Science Leader magazine’s 2014 CMO Leadership Awards, he was more than happy to pay it forward and share his knowledge, wisdom, and insight. When I asked Andrew Skibo, regional VP of supply biologics, global engineering, and real estate at AstraZeneca if he could speak at #OPW2014, he agreed. Highly effective pharma and biopharma execs don’t just think paying it forward a good idea; they have a habit of demonstrating the importance of paying it forward through their actions. Here’s an interesting stat — every single pharma and biopharma manufacturing executive I have ever asked to serve on Life Science Leader magazine’s editorial advisory board said “yes” without hesitation. Process intimacy is a term coined by Merck’s Jim Robinson to help his team conceptualize how they bring value to their company. Robinson believes that if you don’t really know your process, your system, and what can go wrong — much like a failure-mode analysis approach — you won’t be able to predict problems and proactively prevent them, and you will end up spending most of your time looking at what went wrong rather than at continuous improvement and risk reduction. Process intimacy is much more than knowing the process technically and cannot be achieved by simply looking at a P&ID (piping and instrumentation diagram). According to Robinson, it’s an “organic connection” rather than technical understanding and can only be achieved by frequently walking the shop floor, perhaps three times a day. Robinson doesn’t walk the floor striving to impart knowledge, but seeking to understand the process, something that can only be obtained from listening to the wisdom from those manning the machines on a daily basis. He seeks first to understand, then seeks to understand even more because connecting with the group leaders on the floor will be the people critical in helping you to understand when something goes wrong. Bill Ciambrone, executive VP of global technical operations at Shire, was the executive sponsor of Shire’s $210 million single-use manufacturing plant on its Lexington, MA campus known as Atlas. When they began the process of planning the build, the company thought it had an accelerated schedule by bringing a single-use plant up and running versus building with stainless steel which requires a great deal more infrastructure. But as a result of a competitor experiencing a supply crisis their accelerated schedule had to be accelerated even more. One of the outside-the-box solutions Ciambrone proposed to the company manufacturing the bioreactor for the Atlas plant, Xcellerex (now a GE Healthcare Life Sciences Company), was to provide Shire a place where meaningful work could be done on the reactors by Shire staff along with technical support from Xcellerex. The resulting idea became known as the Atlas “Sandbox” Process Line Mockup, which eliminated a number of costly errors and inefficiencies from the finished process line. Highly effective pharma and biopharma manufacturing execs know patients are dependent upon a reliable supply. Rather than Shire just sticking to its plant build timetable, Ciambrone demonstrated the importance of outside–the-box thinking with the sandbox solution. When I interviewed Tim Charlebois, Ph.D., VP of technology innovation strategy within Pfizer’s biotherapeutics pharmaceutical sciences (BTx Pharm Sci), he shared with me a comment on the difference between having capabilities and knowing the capabilities you have. Charlebois explained that when Pfizer acquired Wyeth, the company obtained a tremendous amount of manufacturing equipment. Thus, the company had theoretically increased its manufacturing capabilities. But without an inventory and database which could be shared and accessed throughout the Pfizer organization, these assets are of little value because people don’t know of their existence. Charlebois put in place a team charged with inventorying and documenting the capabilities of all of the equipment owned within the newly combined company’s manufacturing and development networks, and then made that comprehensive catalog available to scientists and engineers across Pfizer from their desktops. “The idea was to provide staff with this information so, downstream, they could incorporate these improvements and benefits,” he says. You are probably wondering how this is a habit, as conducting inventory sound much more like a task. And you would be correct. All of the manufacturing executives I have mentioned I first met at a conference. If you want to learn habits five, six, and seven of highly effective pharma and biopharma executives, I am sure the above mentioned executives would agree — get outside of your cubicle or office or leave the shop floor and pick a conference to attend where you can network and gain knowledge, wisdom, and insight from key opinion leaders in your space. I hope you choose to register for Outsource Pharma West November 9–11 in San Francisco, because we have been working hard to put together a program filled with highly effective people, as well as highly effective pharma and biopharma manufacturing executives who know that continuous improvement is not just a habit, but an obligation.